D-Elite Soft has tie up with India, US, UK and more Outsourcing companies to conduct and outsource project in the market with highest degree of the quality. Our valuable clients work with us for the best service and quality output within the stipulated time frame. D-Elite Soft has established a good quality in the market for best services. 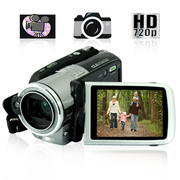 Win Electronics for Mega Savings Bidding Starts at 1 cent. Save up to 90% Signup Now & Get 2 Free Bids http://juanponcecorrea.zeekler.com/. We provides step down voltage converter, voltage converters, step up voltage converter, step up/down voltage converter, 220 to 110 volt voltage converter, voltage regulator and many more at discount rate. http://www.world-import.com/all-transformers.htm. World-import offer video converters including PAL to NTSC Video Converters, PAL to NTSC Video Conversion, Pal Video converter, pal ntsc video converter, convert ntsc to pal, pal video conversion, Pal TV converter and many more. 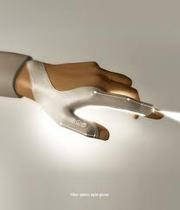 http://www.world-import.com/samar.htm. 5.1 Surround sound system. Good condition. Remote control, excellent audio sound. Have upgraded my system so need to sell this one.. In the vice of 19 reciters with 13 translations.Noorani Qaida for basic kids learning (Namaz, Azaan, Daily dua’s, and supplications, Ahadees with translation and many more features. Visit at. (http://www.iqra.com.hk) sales04@iqra.com.hk or +92-41-855-4160. 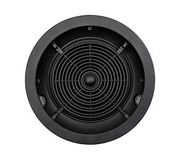 If you're looking for Brand New In-ceiling speakers have a look on these I am selling Two crs8 Zero In-ceiling speakers Technical Details: 8" Polypropylene Cone Woofer with Rubber Surround Pivoting 1" Liquid Cooled Silk Dome Tweeter Power Handling: 5 - 130 Watts Lifetime limited warranty Cut-Out Diameter: 9 3/4" (248 mm) Liting Prices -$499 Bargain Price- $349 Free Shipping . 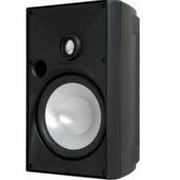 I’m selling Brand New two crs6 In-ceiling speakers pair of @ 249 AUD. They retailed @ 399 AUD. 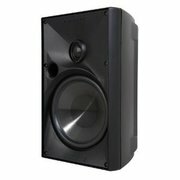 A clear bargain for you Key Features Specifications: Efficiency: 92dB 1W/1m Power Handling: 5 - 100 Watts Impedance: 8 Ohms Frequency Response: 40Hz - 20kHz ±2dB Diameter x Depth: 9 13/16" x 3 13/16" (249 mm x 97 mm) Cut-Out Diameter: 8 1/4" (210 mm) If you are interested feel free to contact me. I’m selling pair of Brand New two Oe6 One outdoor speakers @ 499 AUD . They Retailed @ 899 AUD. So its bargain up to 45%. we are selling them without any shipping cost. Dimensions: Overall dimension: 281mm x 178mm Overall depth: 170mm Speaker Driver Information: Tweeter: 1 pivoting Bass: 1 fixed flat (165mm) If you are interested feel free to contact me. 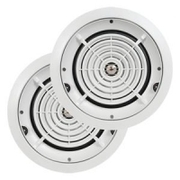 If you're looking for Brand New In-ceiling speakers have a look on these I am selling Two crs8 Zero In-ceiling speakers Applications: Multi room, Music Speaker Dimensions: Diameter x depth - 303mm x 114mm Cut-out diameter - 247mm Liting Prices -$499 Bargain Price- $349 Free Shipping . I’m selling Brand New two crs6 In-ceiling speakers pair of @ 249 AUD. They retailed @ 399 AUD. A clear bargain for you Key Features Alignment with ceiling: Flat Visible shape: Circular Visible colour: White (Paintable) If you are interested feel free to contact me. call -1800 28 34 67or visit- Audio solutions -- Audiosolutions. Kepsun is producing LED Tube, T8 LED Tube, T5 LED Tube, Sound Control LED Tube, PIR LED Tube, 360 LED Tube, LED Freezer Light, Emergency LED Tube, Movement Sensor and PL LED Downlight manufacturer in China. 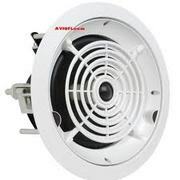 The Lights are complied with CE and three years warranty..
For Sale I have Brand New Crs6 Zero in-ceiling Speakers , equipped with pivoting tweeters Key features – Speakers Function -Main/stereo Nominal Power :5 watts RMS Connectivity :cable Construction :2-way Quick sale -$249 contact: 1800 283467 (call is ok) visit us - Audio Solutions[Audiosolutions. Hi everyone!! 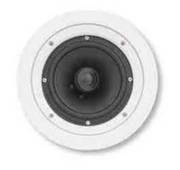 I am selling Brand New Oe6 One Outdoor speakers consists of high performance monitor based models : RRP: 899$, selling them at 449$ Contact me if you are interested 1800 28 34 67(anytime) or Visit- Audio solutions Audiosolutions.net.au. Hi Everyone!! I have some new Speakers that I want to all sell out Two Speakercraft OE6 One outdoor speakers Listed with price $899 . Bag these outdoor stereo speaker’s inbuilt with dual tweeters In just $ 499. Such a good deal. Be quick ! Contact me if you are interested 1800 28 34 67(anytime) or Visit- Audio solutions[Audiosolutions. Hi , I am selling two outdoor speakers in very low price They are brand new with 1 year australian warranty, Its standard Price Is 899.00$ I am seling it on 45% discount. call for further details -1800 AUDIOS or visit - Audio Solutions[Audiosolutions.net.au]. Alignment with ceiling: Flat Visible shape: Circular Visible colour: White (Paintable) 2 single CRS6 In- ceiling speakers (In-wall speakers ) . 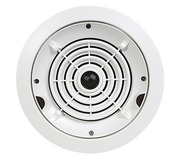 Model details Alignment with ceiling: Flat Visible shape: Circular Visible colour: White (Paintable) Applications - Bathrooms, Kitchen, Music, Home Cinema, Multi room, Both are Brand New + I year Australian Warranty . 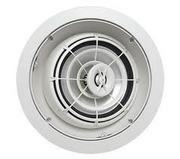 I am selling two CRS6 Zero In-ceiling speakers in just 249$ The series contains a variety of two-way in-ceiling drivers. 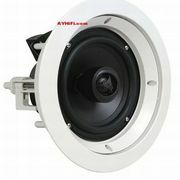 Several of their models incorporate the exclusive WavePlane™ tweeter baffle. WavePlane™ assist in high frequency forward radiation and overall speaker tonal balance. - Polypropylene cone bass driver with rubber surround - Liquid cooled silk dome tweeter - Timbre-matched to all Speakercraft 'Zero' series speakers call for further details -1800 AUDIOS or visit- Audio Solutions [Audiosolutions. A whole new world of high quality audio entertainment brought to you by this multifunctional iPhone/iPod Dock with Wi-Fi Internet Radio, USB/SD Music Playback and Record Function. First and Foremost, this iPhone/iPod dock will directly play your favorite music collection from your iPhone 4, iPhone 4s, iPod, or iPod Touch through its high power speakers. SAMAA TV is the only resource of latesat, top story and breaking news from Pakistan, South Asia and all over the world.And Also Watch Samaa Tv Live click here:http://www.livessamaa.tv[URL]http://livesamaa.tv[/URL] Sponsor By Data Entry/Seo Company :http://www.pkonlinejobs.com. The RX-A3010 includes nine channels of power amplification , all channels of output are the same, at a hefty 150W per channel. Regarding its connectivity, the RX-a3010 comes to the party ready to accommodate every possible need. 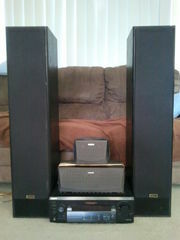 http://audiosolutions.net.au/sydney-audio-solutions/yamaha-rxa-3010.html. ONKYO 7 Band Stereo Graphic Equalizer. All REASONABLE offers considered. please phone/text 0407851278.. Audio electronics Australia ads Australia, Audio electronics classifieds Australia, Audio electronics free ads Australia, ads for sale Australia, ads to buy Australia, FREEADSAustralia Page number 6-1. Find here ads for sale, to buy and rent in Australia. Goods for sale in Australia, vehicles for sale in Australia, Australia real estate for sale, Australia property for sale, property for rent in Australia, business ads in Australia, Australia business classifieds, services in Australia, Australia services ads, jobs in Australia, pets for sale in Australia, Australia dating, Australia cars for sale.